I just love Nadine’s “Aha” moment, and the change that it brought about in her life and business. Keep reading to find out what “new” habit she adopted and how this habit can literally change your life. Summer is here in Chicago. Now that I’m back from the Outer Banks, it’s time to do some outside work around the house. After a wet spring, all my bushes needed trimming this weekend. So, after the heat wave passed, I was out in the yard on Sunday taking care of business. I am blessed with amazing neighbors all around me. We get together for dinner, drink wine, enjoy evening fires, and chat over the fence. My neighbor, Denny, who lives behind me, walked over to the fence when he saw me pulling weeds. “Hey, Nadine! How’s business?” Denny enthusiastically yelled. “Doing good.” He sensed the hesitation in my response. Honestly, things were going okay, just not great. Heading into the summer months, it seems to get more difficult to get the attention of prospective clients. Always a challenge to keep up the momentum. We continued to talk about life – sadness over the events in Orlando over the weekend – briefly about politics (we are on opposite ends), and, as always, he gives me some tips on business. Denny, now retired, was a successful salesman and businessman throughout his career, so I enjoy hearing his perspective on a common challenge for every entrepreneur – lead generation and sales conversion. What I wasn’t expecting on Sunday was the huge light bulb moment I got. As we discussed a few out-of-the-box ideas, I made the comment, “Well, what’s the worst that can happen?” Denny’s reaction…well, let’s just say it was as if I committed a huge error in judgment. He was absolutely right. Just to say out loud, “What’s the BEST that can happen?” physically changed my energy and renewed my perspective. I know shifts in thinking create big results – it’s what I work on with my private coaching clients. But, this shift had never occurred to me before. I have ALWAYS been a Plan B (and Plan C & D) type of person. Whenever I approached something new or risky, I moved forward by convincing myself that even if the worst-case scenario happened, I had a move or an answer. But it’s this negative bias in my thinking that has been holding me back in making huge leaps in my business. I was always hedging my bets and saying to myself – well, the worst that can happen is my business fails and I go back and get a J.O.B. Of course, that’s the LAST thing I want to do. I consider myself completely unemployable these days. It is my passion, purpose and deep desire to teach entrepreneurs and small business owners how to approach client attraction, business development, marketing and sales through a structured, strategic and authentic approach that creates breakthrough results. I love what I do, and my latest program offerings are a result of my own learning, application, and client success stories. But I was shocked to be called out on my own thoughts by Denny. How was I not seeing that for myself? I wrote that question in big letters on my whiteboard in the office today. It’s my new perspective on everything. My plan – to ask that question every day, multiple times per day, for the next 21 days. The gurus say it takes 21 days to create a new habit. Nadine Haupt – “The Breakthrough Strategist” – teaches motivated and results-driven entrepreneurs how to generate leads, make more money, and create breakthrough results. 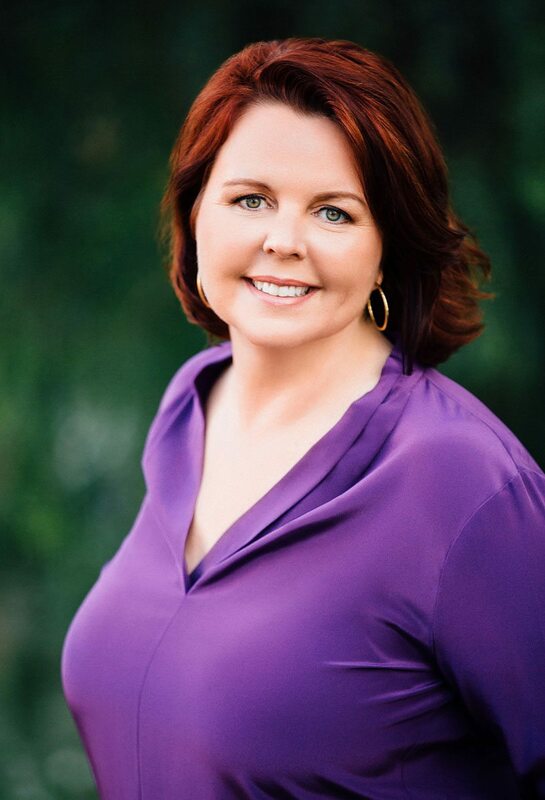 Through professional speaking, private and group coaching using the proprietary “Speak More, Sell More Blueprint,” Nadine shows them how to gain freedom, flexibility, and financial independence using a strategic, structured and authentic approach to business development and client attraction. Since 1994, Nadine blazed successful trails in several male-dominated industries – including becoming the first female trackside engineer in IndyCar Racing. Her inaugural book, Fall in Love with Monday Mornings, was released in June 2015.